Hmmm…dominoes. Something I played as a kid. Either lining up and knocking down or matching number to number. Never very exciting. 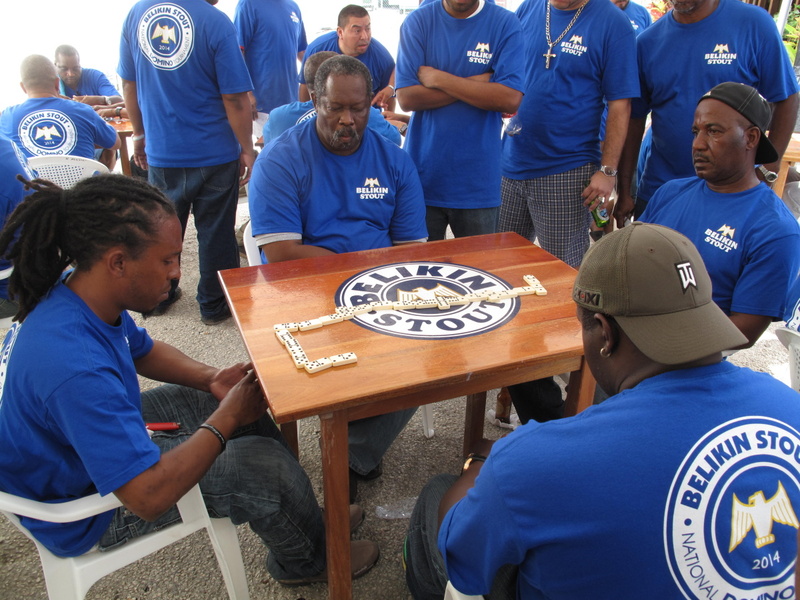 But dominoes in Belize is an exciting game. Intense. 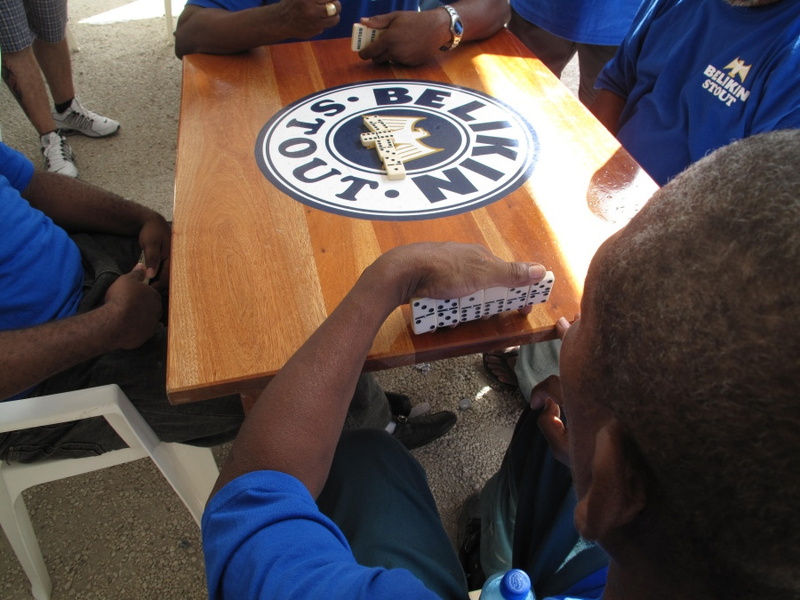 In the past, I have driven passed people playing in Belize City…I was invited to this match in Punta Gorda last year. And then I saw this. 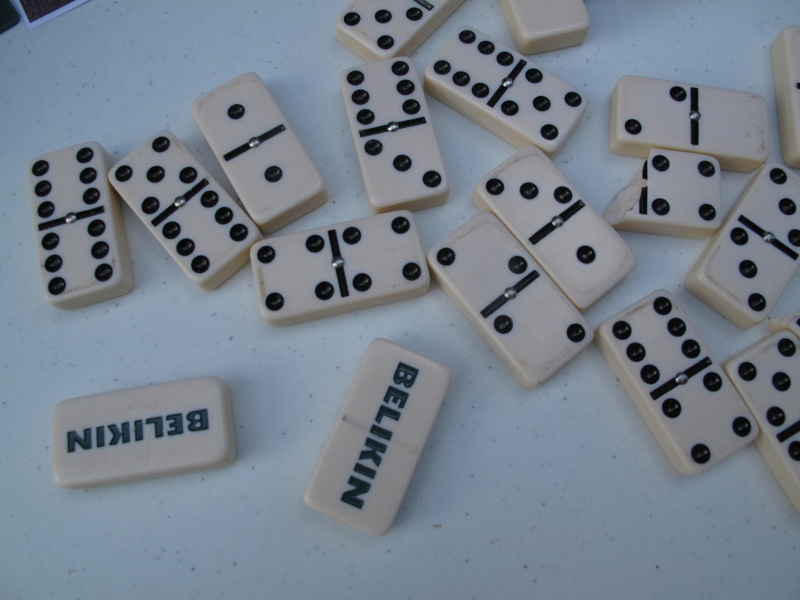 Watch this short Belikin commercial about dominoes. DOMINOES are exciting! So…you can imagine that when I saw this poster, I was pretty excited. THIS is TOTALLY bloggable. Sure the Lighthouse Rock, Paper, Scissor tournie was good times. 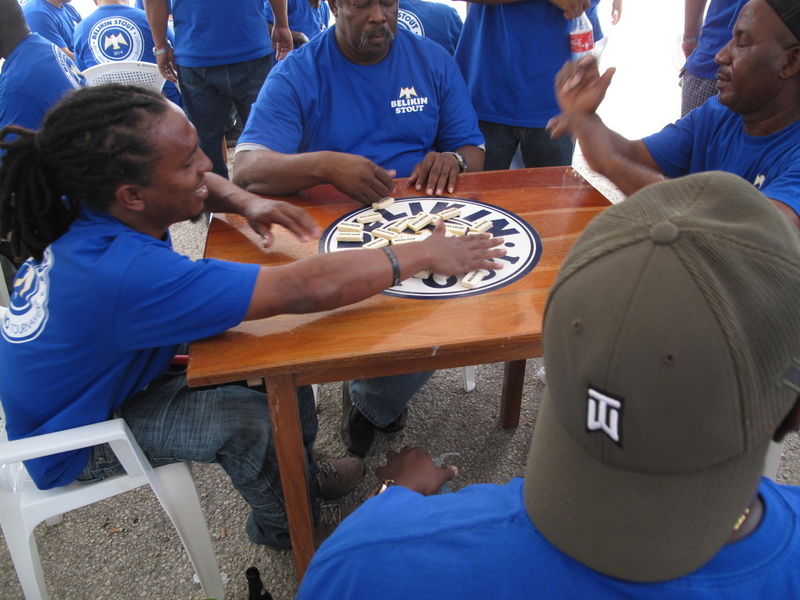 (Great times in fact…) but this dominoes thing could be high drama. Tempers flaring. But there was no tournament in San Pedro? 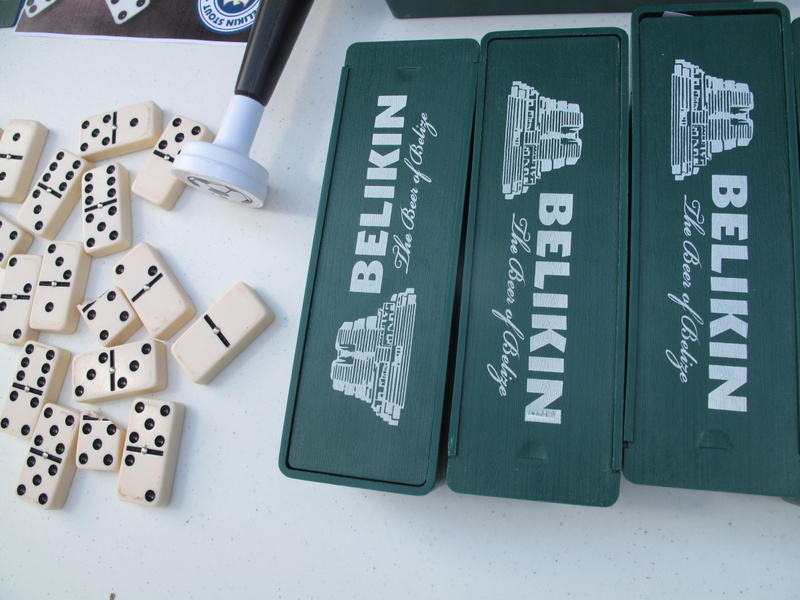 Apparently we have not been deemed a domino playing town! 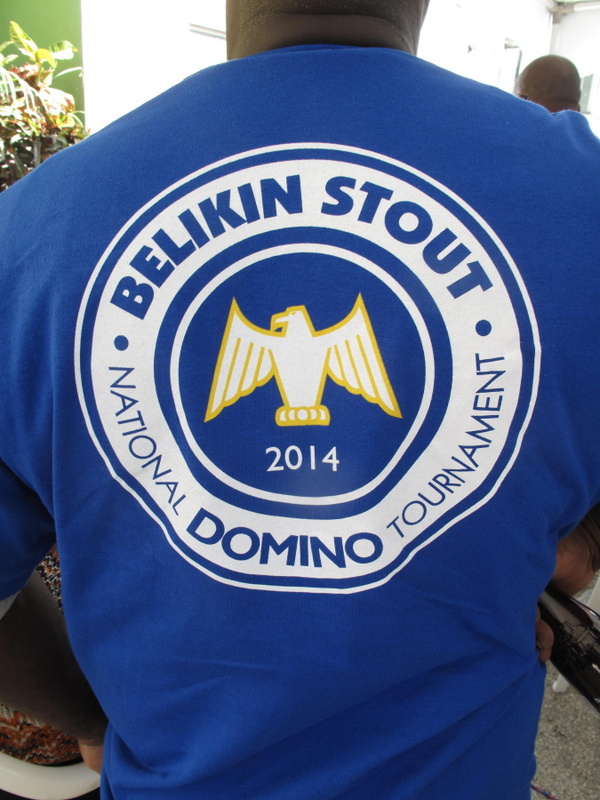 So…I was even more excited when I took a last minute trip to Belize City to see Harley motorcycles and found that the domino National Tournament was ON just a few miles away. I had to stop by. And I found a sea of blue t-shirts. Want. 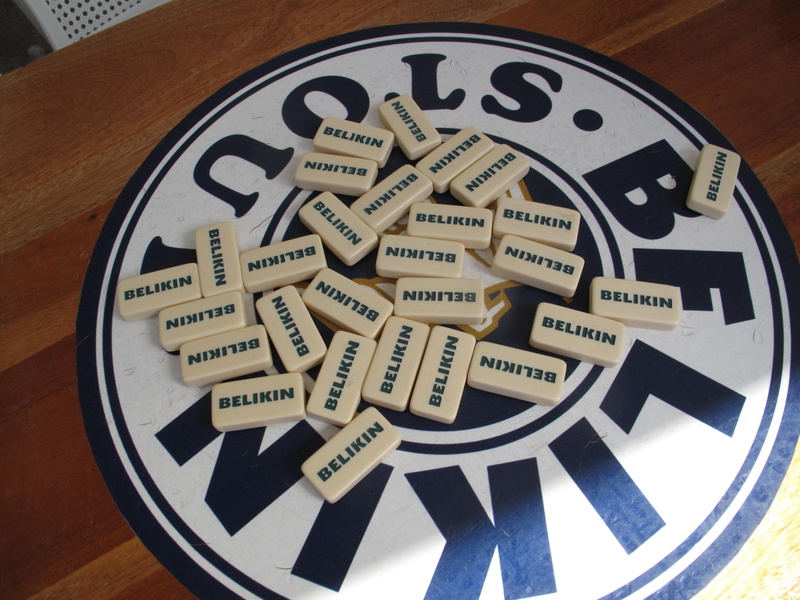 Custom made Belikin dominoes. REALLY WANT. 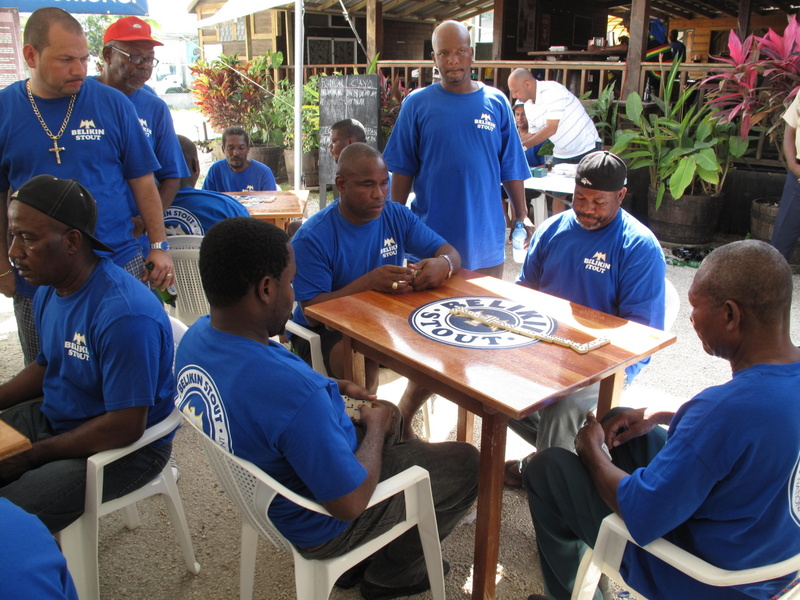 And tables and tables of domino competitors. I met a team from Punta Gorda and an all female team from Orange Walk. I have been promised a tournament in 2015. 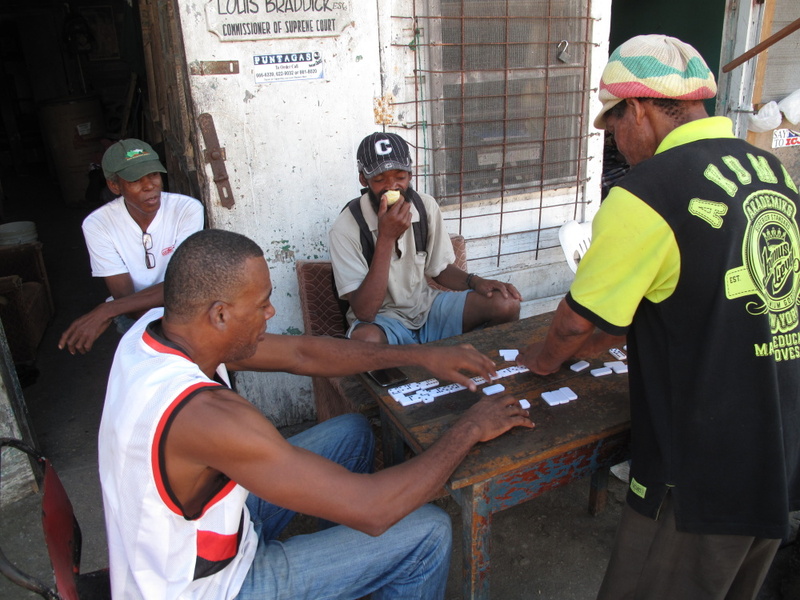 SAN PEDRO DOMINOES! First I need to practice holding all the dominoes in one hand. And then perhaps learn the rules. I’m guessing it is not as simple as Rock Paper Scissors. Very cool thing to see. This all took place at the Travellers’ Rum Barrel Bar on the Northern Highway and was scheduled for something crazy like Noon to 7pm! Dominoes is time consuming too. 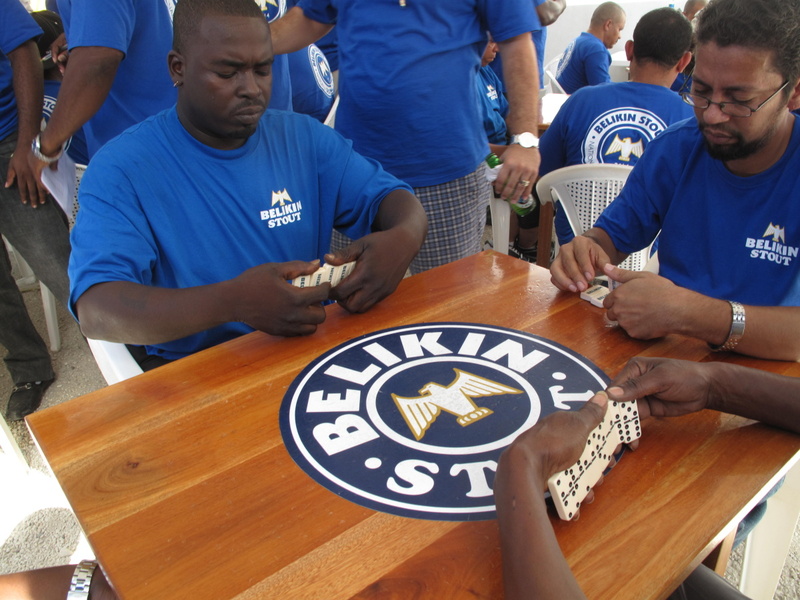 I love that I went for a very last minute trip to Belize City (3 hours notice), water taxied to the city and found too amazing Belikin sponsored events. 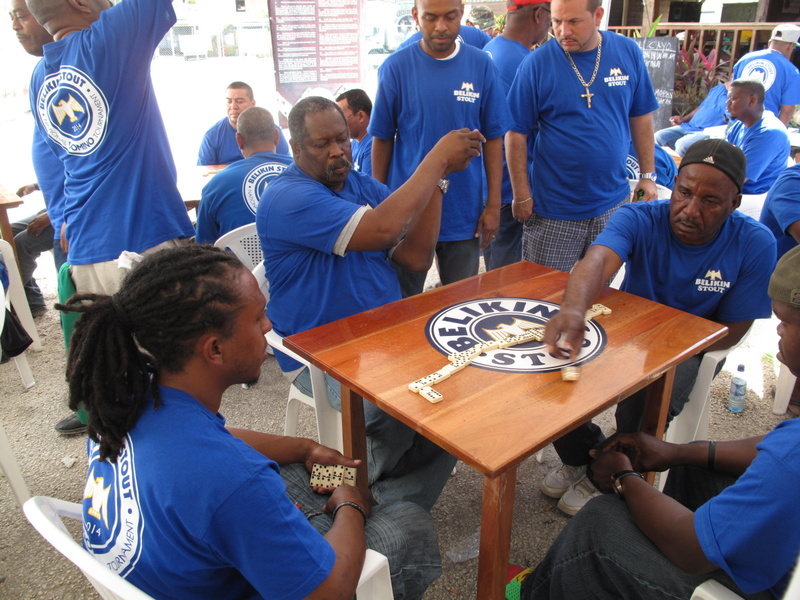 Belize Harley Davidson rally and a Belize National Dominoes tournament (followed by a DELICIOUS Indian food lunch at Sumathi)…what did you do on Saturday. Saturday, Me? well thanks for asking…..we finally got rain in Northern California (yippee) so everyone was/is happy for that but with the rain so did some wind that knocked down two huge tree branches on the side of my house….so i had to go to the rent a center a get a couple of chain saws, called a few friends and we attempted to be fix it guy’s but the situation was way bigger than we thought and a whole lot more dangerous so i wound up calling tree professionals. Wellll you asked……although you can see it’s nothing compared to your beautiful day and life in Belize. 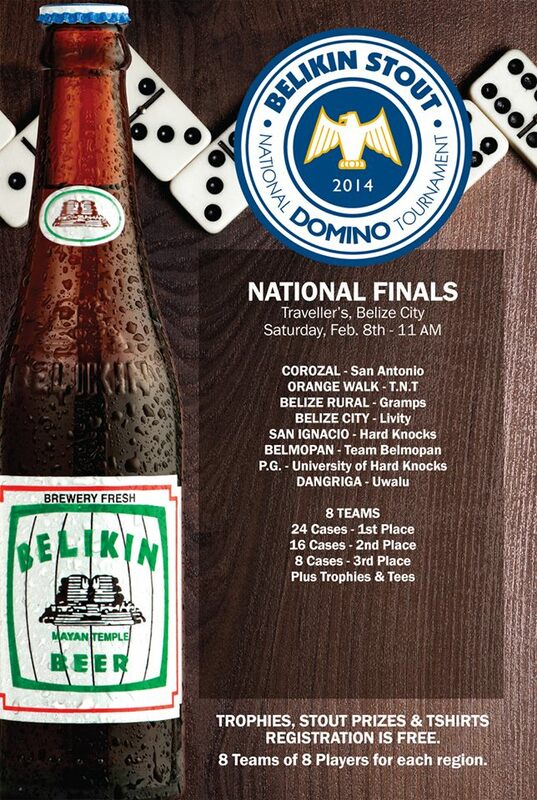 But you can bet i am counting my days and in the future i will be watching Domino’s championships in Belize with you.